Photographs are a great way to savor the wonderful memories of your wedding for the decades to come. But while you and your new spouse are snapping photos with the wedding party, let your guests make some memories of their own. A wedding photo booth can enrich the time between the ceremony and the reception. After a big event, most guests relish the chance to go home with a meaningful souvenir. With a photograph from the booth, they’ll have a great way of remembering the occasion well into the future. Dressed in their best and with the people they like and love, they’ll be able to memorialize a joyous moment. As fun as weddings are, they often have a lot of downtime or waiting periods. A great way to pass the time is to fool around with the props in a photo booth and take goofy pictures. It also provides the opportunity to get a high-quality photo with a loved one. As a playful and active element, a photo booth can provide a break from dancing or a way to engage children in the fun. Sometimes weddings can feel more formal than the bride and groom may want. Away from the organized portion of the day, the photo booth allows guests to let go a bit and enjoy their creativity. It can be an easy way to break the ice with someone you just met or bond with someone at your table. 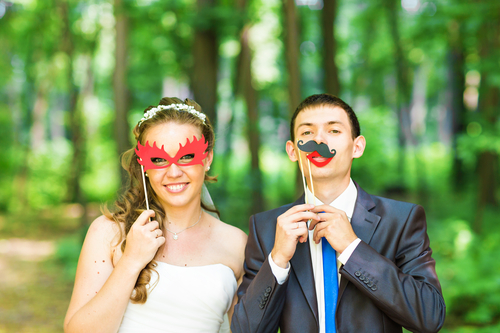 For the most fun photo booths in Dallas, TX, wedding planners know to book The Photo Bus DFW. With top-notch equipment and an array of creative props to choose from, the pictures look great, and guests have a blast in the process. To schedule a wedding photo booth as part of your celebration, just call (214) 702-4141. You can learn more about the company by visiting their website.